In the 12 Fight Nights Alexander Müller has entered since 2009, he's never placed lower than 4th, and has even come in 2nd at three different EJC tournaments. But last weekend he finally won a title in Karlsruhe, going one better than his second place finish in 2014. 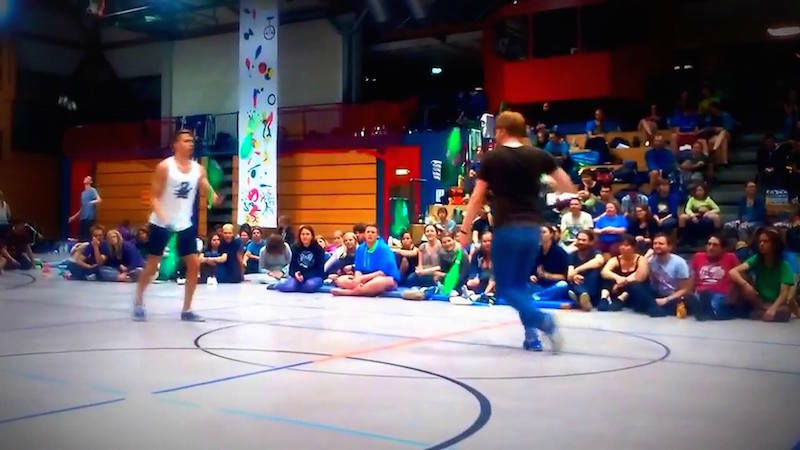 To win, Alex defeated surprise finalist Julius Preu, the underdog who beat two former top 10 players on his way to the final; Rufus Oelkers in the round of 8 and Jonas Gengnagel in the semi-final. 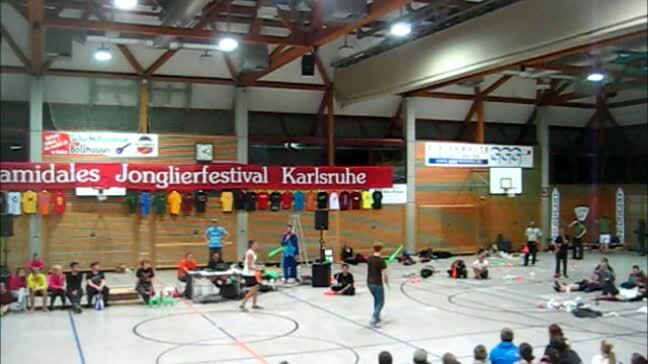 Over 30 jugglers entered the open group combat qualification rounds, and the first 8 winners went through to the knockout. Alex gains 350 points for his win, and Julius gets 210 for his second place. In the 2015 Race Rankings, this moves Julius into qualifying contention for the invite-only European Master 2015 in Berlin this December. Alex is just behind, but as Karlsruhe was his first Fight Night of the year, he's required to enter at least two more to be eligible for the Masters tournament.